Want to take your relationship from good to great? Based on Dr. Terri Orbuch's landmark, decades-long study of marriage -- the longest study of its kind -- this easy-to-read book presents 5 simple, realistic proven steps for any couple who wants to turn a humdrum marriage into wedded bliss. Order the book straight from The Love Doctor® and get your book personally inscribed!! Click Purchase. Your price: $25 (includes inscription, shipping and handling within the US). Or, order it today from Amazon.com. Based on a groundbreaking 25-year study of marriage, divorce, and new love-finding the right one just became 100% possible. 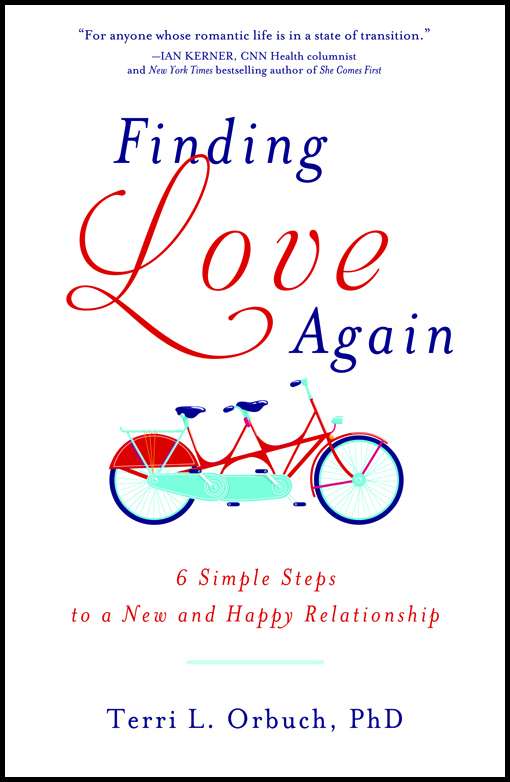 Whether you're divorced or separated, out of a long-term relationship, or newly dating after a long break, Finding Love Again will help you prepare for a healthy and fulfilling new relationship. 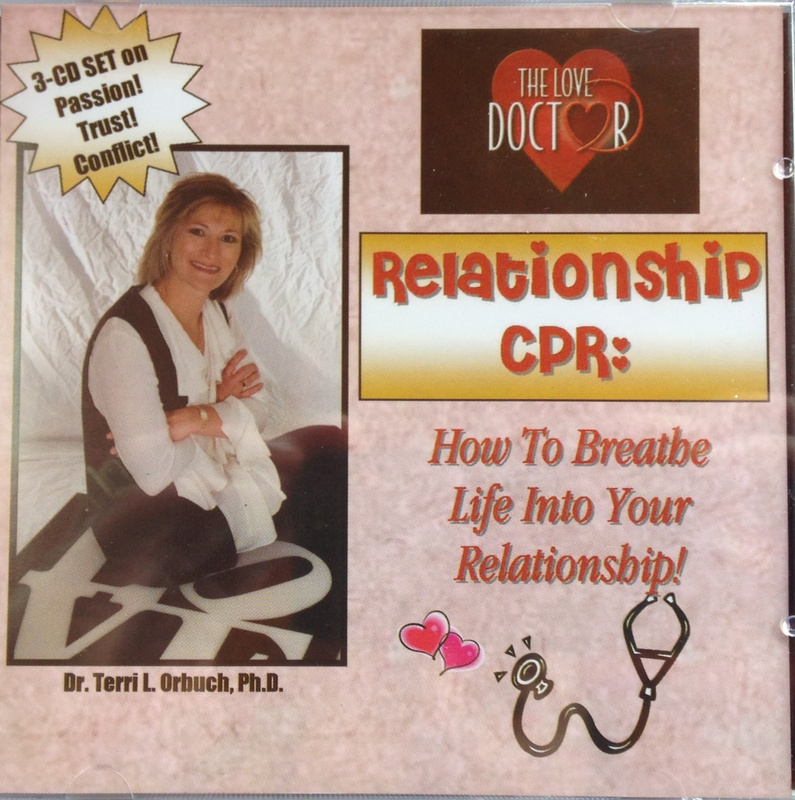 Dr. Terri Orbuch's expert advice, based on her 28 years of research AND clinical experience has been condensed in this special 3-CD set to provide you with sound guidance and invaluable assistance for those inevitable 'love life' ills! The information will cure what ails your relationship. It's just what the doctor ordered! Get REAL Answers for REAL people based on REAL science from one of the nation's most trusted relationship experts, Dr. Terri Orbuch, The Love Doctor. Rent it or buy it on Amazon.com. Just provide some preliminary information and we will be back in contact with you shortly.